Take the train from London to Barcelona? Why not? 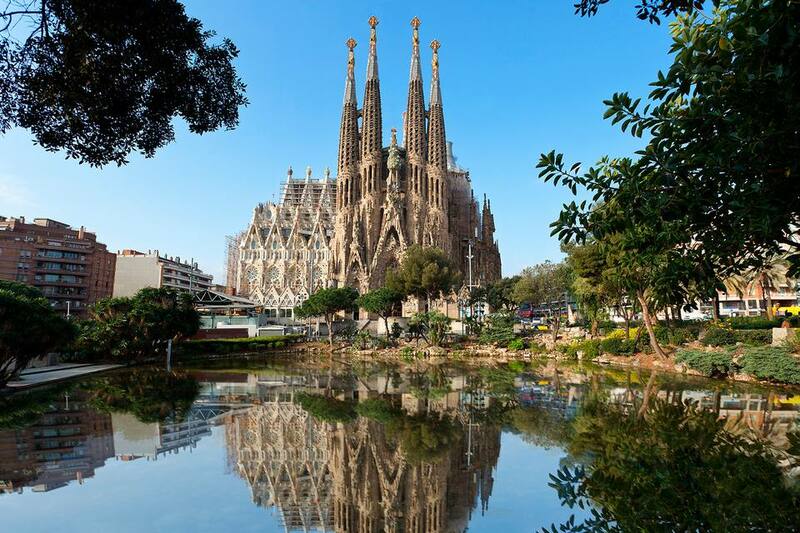 Whether you hate airports, or you have big luggage, or you just fancy taking the scenic route, a train journey through France to get to Barcelona is a great way to get from London to Spain. Instinctively, you'd think flying would be much quicker. But bear in mind that London St Pancreas is a central train station and London's airports (apart from Heathrow and the little-used City Airport) are not. With transport to the airport and check-in time - plus transfer from Barcelona airport to the city center - you might find it's not much quicker to fly. It is possible to take the train all the way from London to Barcelona with just one change. If continuing to Madrid, you'll need to take a separate service from Barcelona to Madrid. Considering the need to change train stations in Paris, the difference between the two journeys is negligible. The question is whether you want to spend a day or two in Paris or in Marseilles. If you plan on visiting multiple cities in France and Spain, making a number of train journeys in each country, you may want to consider getting the Eurail France-Spain Pass, which gives you up to ten days of train travel in Spain and France for a very reasonable price. As French train tickets cost more than Spanish ones, the more journeys you make in France, the better value you'll find the Eurail pass. Taking the train via Paris has two advantages over the Marseilles route. It's a bit quicker, and Paris! However, if you're planning on traveling straight through without visiting Paris, bear in my you need to change train stations. Paris Gare de Nord to Paris Gare de Lyon: 30m You will need to travel by public transport between these two stations. Why not break up the journey by staying the night in Paris? This route takes a little longer than going via Paris, but it doesn't require changing train stations. The London to Marseille service is seasonal and doesn't run in November, January, February, March, or June. You can then take the high-speed train from Barcelona to Madrid.